Todd Ohlms is a Partner in the Litigation Practice Group and is Co-Leader of the Commercial Litigation Team and the Private Equity and Venture Capital Industry Group, as well as a member of the Emerging Industries Team. He is also member of the Firm's Executive Committee. His practice involves advising and representing clients on their business-critical litigation matters. He has substantial experience in actions involving temporary restraining orders, preliminary injunctions and in the substantive areas of intellectual property, fiduciary litigation, securities and shareholder litigation, antitrust and trade regulation and complex/multi-jurisdictional disputes. In addition, Todd has extensive experience in creating and implementing electronic discovery strategies and protocol for clients. Since 2006, he has actively participated in the Firm’s development of its own in-house E-Discovery Lab, which clients use to dramatically reduce their costs associated with identifying, collecting, analyzing, and producing electronic discovery information in disputes. He is often retained by private equity firms to counsel their portfolio companies on a wide range of matters and is frequently selected to serve as outside general counsel to their portfolio companies. Todd has frequently spoken regarding uses to help portfolio companies implement litigation avoidance strategies and address other legal challenges while simultaneously managing the cost of their legal services. He has also represented clients involved in disputes over family owned enterprises where sensitive and complex relationships often play as large a role in determining the result as the actual legal theories at issue. Todd is admitted to practice before numerous federal district courts and has participated in legal proceedings across the United States as well as in Asia and Europe. Throughout his 21 years of practice, he has tried several cases to verdict before juries and the bench. He has also participated in numerous arbitration proceedings, including counseling clients regarding disputes subject to international arbitration agreements. Author, “Electronic Discovery and the Transactional Lawyer,” Corporate Articles - Spring 2013, published by Corporate & Association Counsel Division of the Federal Bar Association. Presenter, "E-Discovery Is Costing You, But It Doesn't Have To," The Network of Trial Law Firms' Overcoming the Ocean of Complaints, Trials and Motions Conference (April 2018). In this presentation, Todd Olms of Freeborn & Peters detailed important pre-litigation strategies that can reduce the cost and risk of e-discovery. He addressed how parties can choose the right vendor/partner to assist with ESI collection and analysis, and how to reduce the considerable costs associated with collection and review. Todd also discussed strategies he has used to persuade multiple federal district courts to order his opponents to turn over their raw data to Freeborn’s internal Litigation Support Lab for analysis and production. Presenter, "Techniques for Rapid, Efficient E-Discovery" (October 2016). Since the Federal Rules of Civil Procedure were amended in 2006 to incorporate the discovery of electronic information, e-discovery has presented a significant cost and time burden for many parties in litigation. Yet, the process of processing and reviewing vast volumes of data does not have to be time-consuming or expensive. In a CLE presentation, Freeborn attorney Todd J. Ohlms, Partner in the Litigation Practice Group, along with Michael T. O'Brien, Director of Information and Litigation Technology and Leader of the firm's E-Discovery Laboratory, discuss novel ways in which to expedite the discovery process and reduce costs. The presentation is titled, "E-Discovery Is Costing You, But It Doesn't Have To: Techniques for rapid, efficient e-discovery." To watch the presentation, click here. Presenter, "Litigation Assessment Using Decision Trees" (August 2014). In this presentation, which included presenters Judge Richard E. Neville (ret.) and Freeborn Partner Todd Ohlms, we enjoy a demonstration on the various types of litigation that organizations face, the associated costs and the various options available for these companies to avoid litigation. In addition, a demonstration on how to best make use of the ‘decision tree’ to help asses which litigation strategy or alternative solutions will be best in provided. To watch the presentation, click here. Freeborn & Peters Partners, Todd Ohlms and Jeff Mattson, have significant experience in guiding operating companies through the steps involved in private equity deals and the operations of those companies after the deal is closed. They share the secrets of making a deal work, and warn those who may be seeking investment of the potential pitfalls of negotiating with expert dealmakers -- and how to avoid them in this complimentary ALM webinar, presented by Corporate Counsel and Law.com. To watch the presentation, click here. 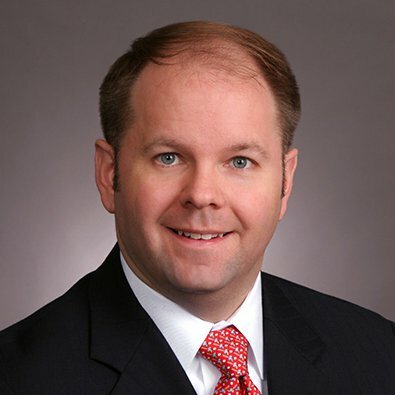 Todd Ohlms recently participated in a Q&A feature for the Expert Forum section of Corporate Disputes Magazine.